I’m much more of a Gossip Girl than Gothic Girl, but even I have a weakness for skulls. Maybe its the time of year? Maybe its designer influenced? Remember when Alexander McQueen constructed that fabulous accessory line influenced by the bony structures. It was all the rage in Hollywood, to date people are still wanting to get their hands on his bones. 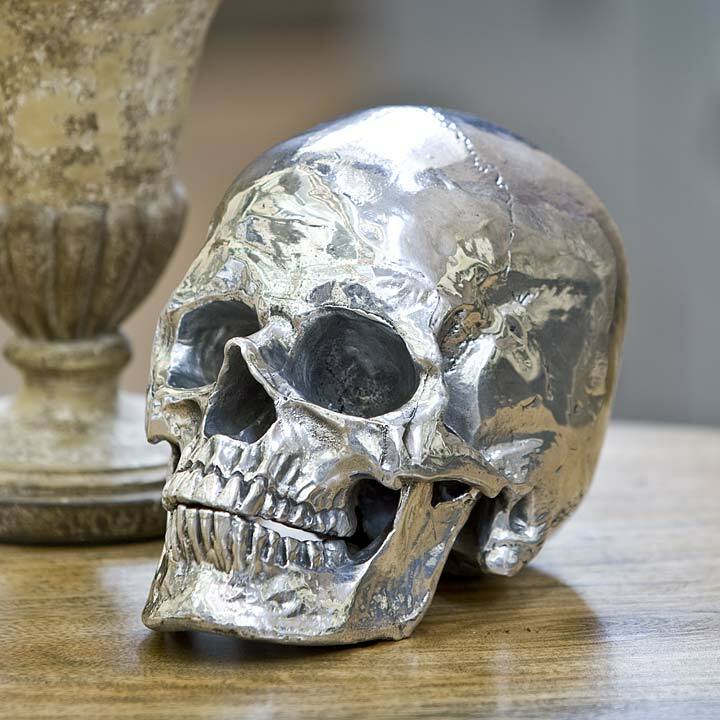 In addition to cuffs, scarfs, clutches and rings, I also enjoy a little skull accents around the home. I’m noticing stylists from my beloved online decor magazines mixing brass skeleton heads and contemporary pieces together, it just adds a little bad as* sumpin sumpin to a book shelf or home office space. 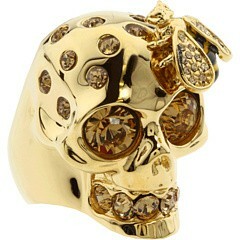 The fascination I have with skulls is glittery bling bling. 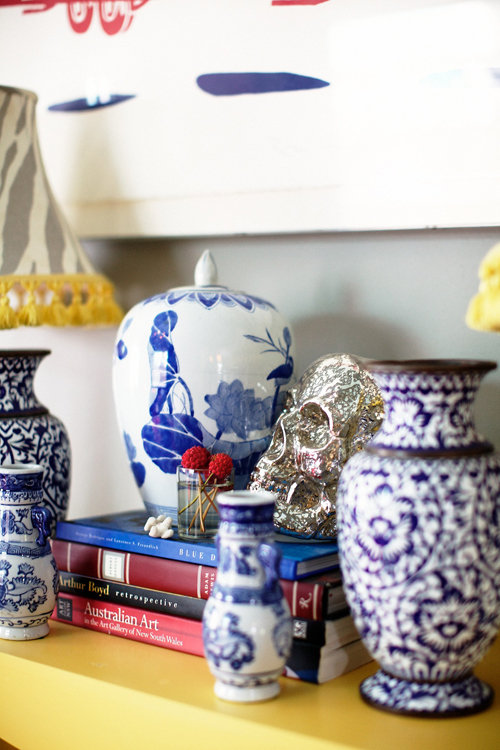 You’ll see why I’m totally crushing on these ornamental skulls. Love the regency of the skull…. and throw this on a table in a room….. 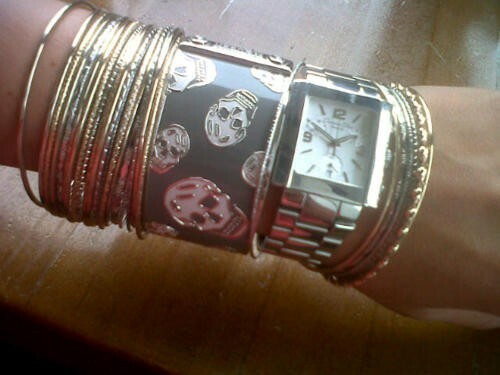 I would wear it on my wrists, as seen on the lovely Ms Janette Ewen here…. and possibly clutch on to this…. 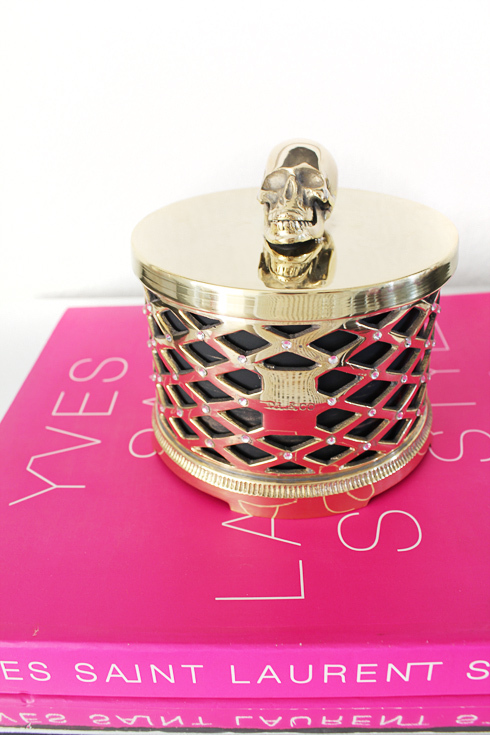 Skulls have a time and a place… I’m going to order a artisan candle from DL&Company and give it a home right beside my ELLEments of style book! I'm a corporate account manager in the beauty industry by day, fashion obsessive, shoe lover by night. I have a weakness for gorgeous clothes, impractical shoes, home decor, recipies and wine. I dream that one day the paragraphs and thoughts I scribble on the back of napkins will transpire into a bestselling novel (or series...I wouldn't complain.) I like to blog about noteworthy bits about my life and pretty things that keep me sane. Enter your email address to subscribe to my blog and receive instant lifestyle updates and chances to win free stuff!